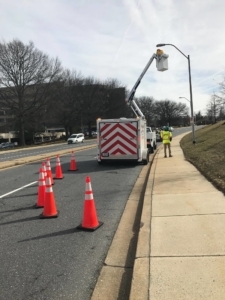 LED Street Lighting Contract Awarded to LMI | Lighting Maintenance Inc.
LMI is awarded a contract to install over 24,000 LED Street lights for Montgomery County MD. LMI will run 4 crews for almost 2 years to complete the project. LMI has leased an additional 5,000 sf of space beside our current Rockville office to help handle the additional work of the LED upgrade. 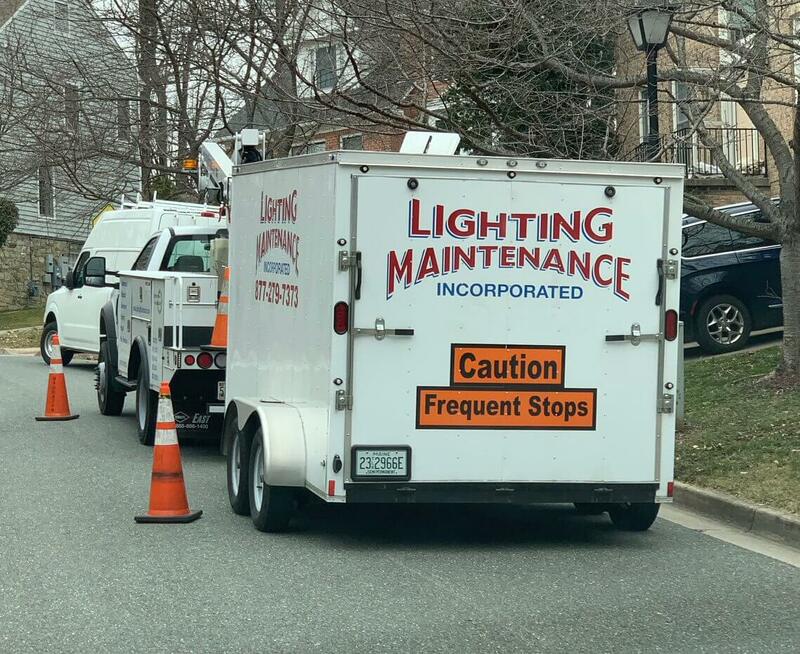 Our crews are able to work all day without resupplying, they are outfitted with a Versalift bucket truck and a 12’ enclosed trailer capable of carrying over 40 fixtures. At peak performance we will be converting between 750 and 1000 fixtures per week.